The Easy Quilts ebook contains many patterns that would allow you to use up all those scarps left over from other projects. Within the covers it has a variety of wonderful quilt patterns, each with the actual size printable templates. 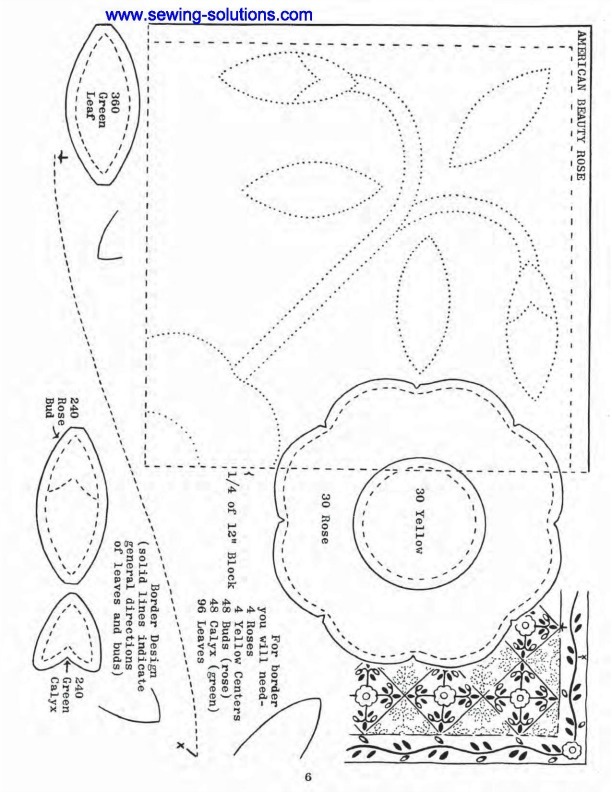 Included are both pieced and the appliqued quilt patterns. 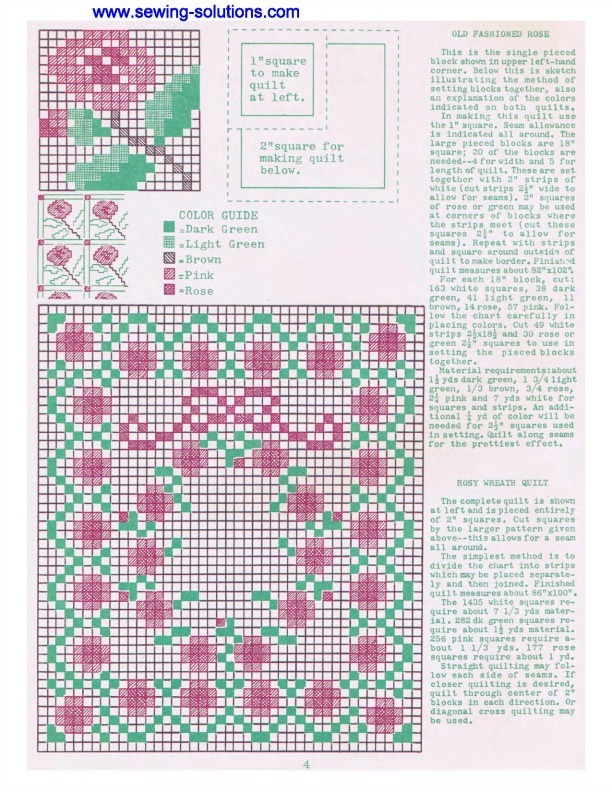 Easy Quilts gives you quilt block patterns and templates from pieced Butterfly quilt blocks to the Old Fashion Rose block. Patterns such as the Double Irish Chain to the Drunkard's Path do not change over the years. A note when you are cutting pieces for a quilt top. Accuracy in cutting is very important when making quilts so take extra time with this. When sewing the lines should be even and points meet sharply for a beautiful end product. This ebook is full of tips to help you make the quilt of your dreams. Whether you are a beginner or an old pro you will find this ebooks has something for you. Included are 12 pieced quilt tops and 4 applique patterns. The great thing about this particular ebook is that most of the quilts These are all presented are easy and quite simple to make. 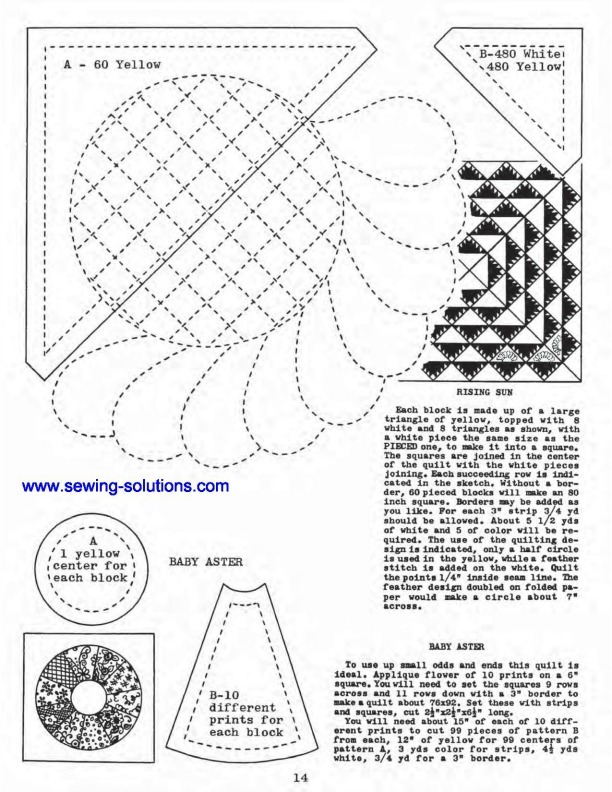 Patterns and cutting guides with complete directions for easy quilts to make. Also you will find a few that are quite elaborate for the more experienced quilter. Printable Quilt Patterns in full size, no resizing needed. You can print the whole book or just the page with the pattern you are interested in. Immediate delivery so you can begin your quilt today. Including a Quilting Design for a nice finishing touch. You will not receive a hard copy in the mail. These magazines are all in pdf zip file and can be easily downloaded and opened with the free program Adobe. You get immediate access to your patterns.